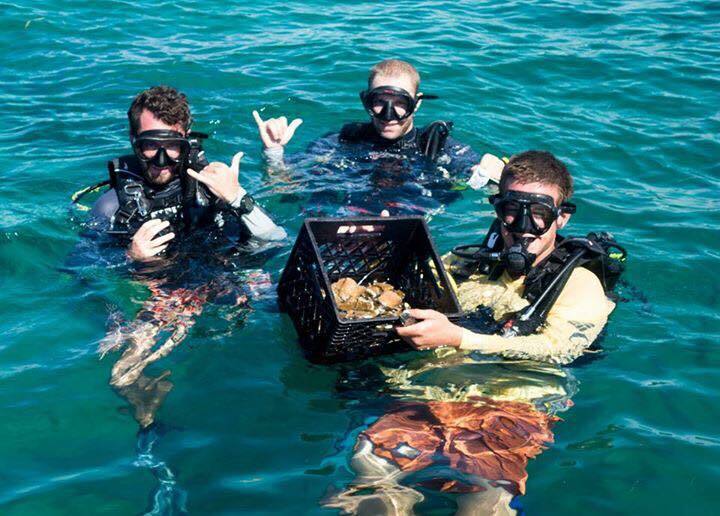 Turquoise Bay Resort and Subway Watersports are proud supporters of Bay Islands Reef Restoration (BIRR), a coral nursery and coral restoration program that is conserving and replanting threatened coral species. 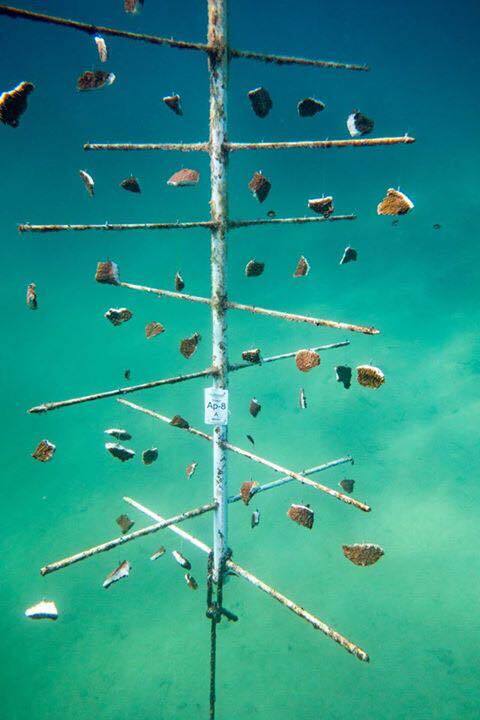 In March 2016, Turquoise Bay and Subway worked with Coral Restoration Foundation International (CRFI), a Florida-based non-profit, to install 10 coral nursery “trees” near Turquoise Bay on Roatan’s north coast, and 10 “trees” near Mahogany Bay off the south coast. 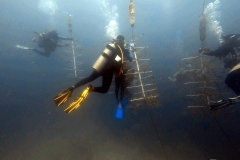 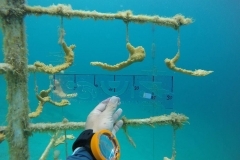 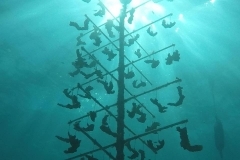 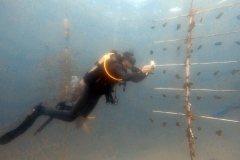 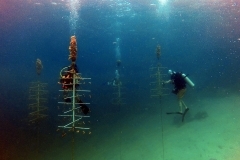 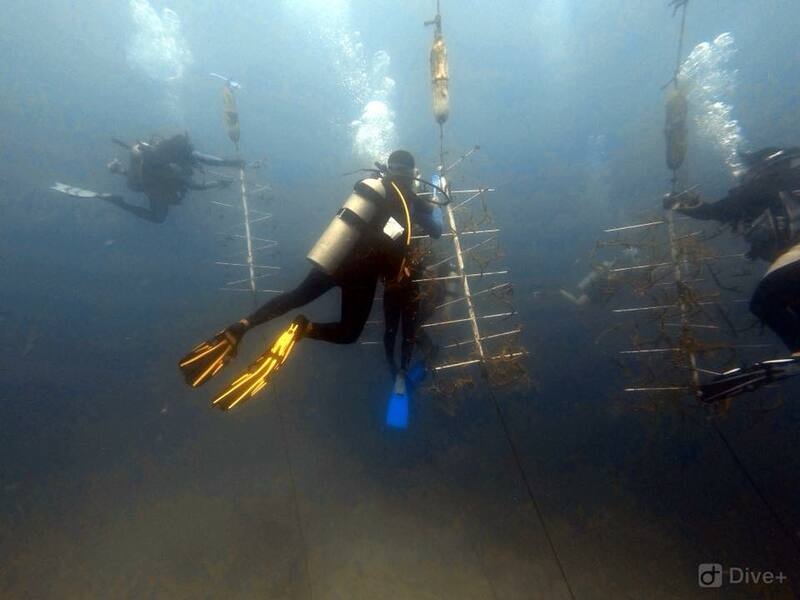 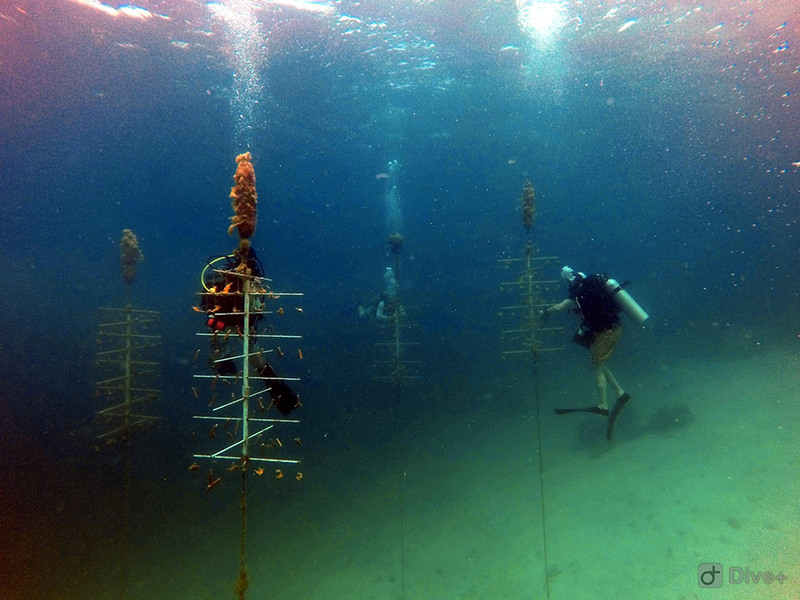 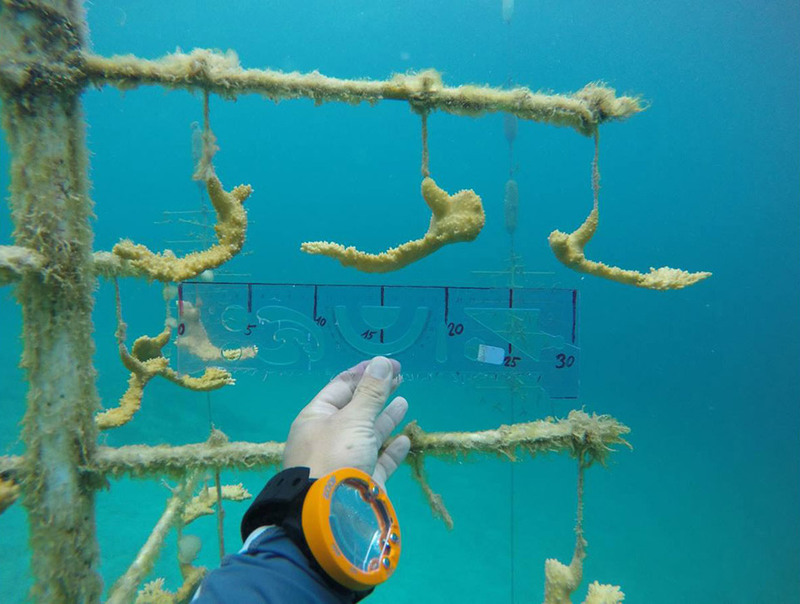 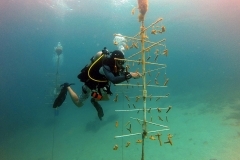 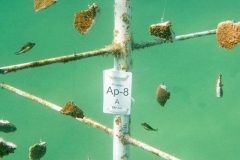 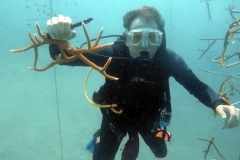 The nursery trees, which are constructed out of PVC, fiberglass rods, and marine epoxy, are attached to the sea floor with moorings and suspended in mid-water with subsurface floats. 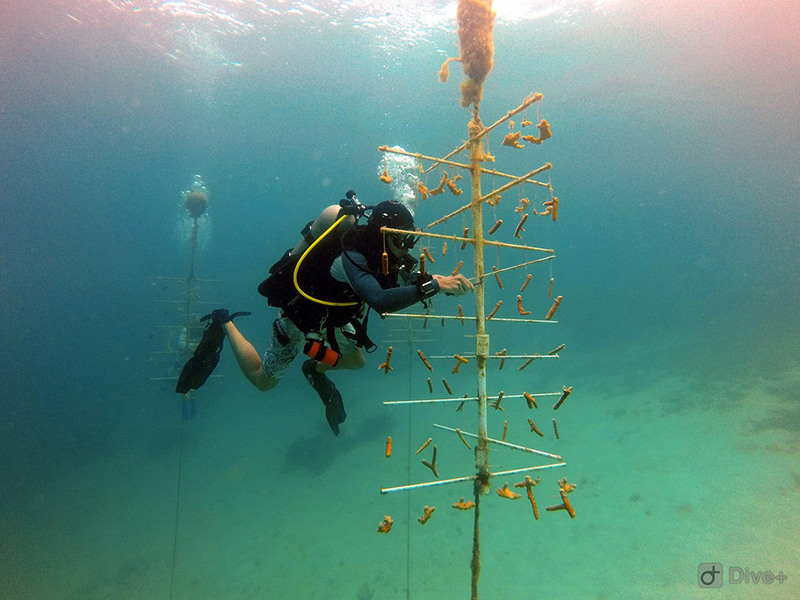 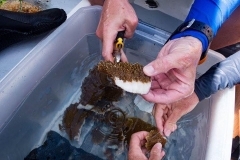 The coral nurseries are stocked with coral fragments from multiple genotypes of Elkhorn coral (Acropora palmata) and Staghorn coral (Acropora cervicornis). 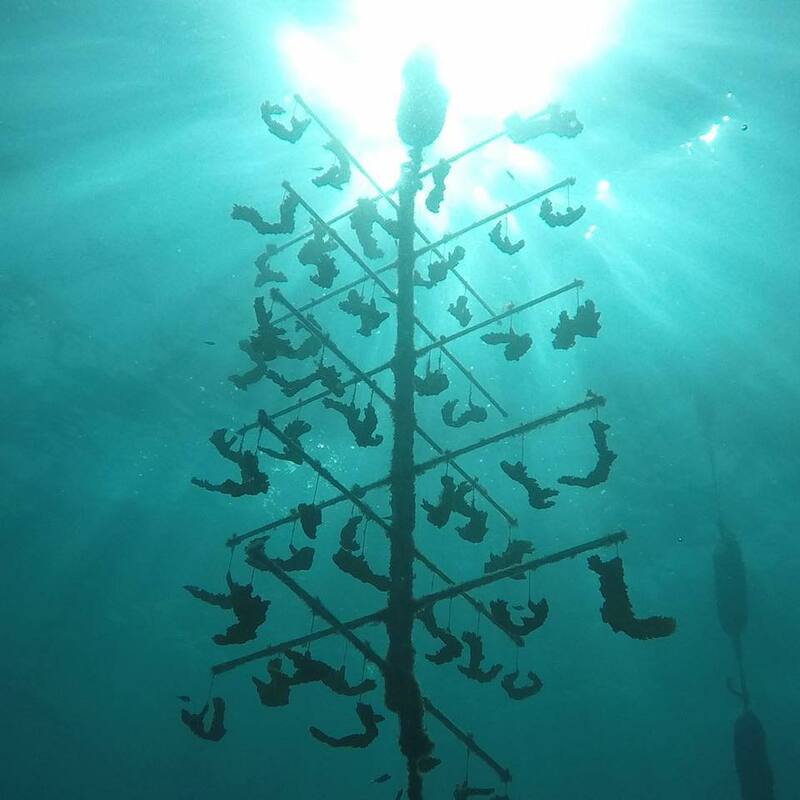 The coral fragments are “hung,” or attached, to the trees using monofilament and metal crimps. 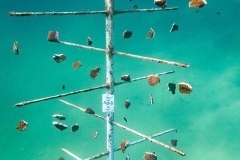 We stock the trees with either “fragments of opportunity,” loose coral fragments that have broken off Elkhorn or Staghorn colonies, or from end-tip clippings of less than 10% of the coral tissue of a healthy colony. 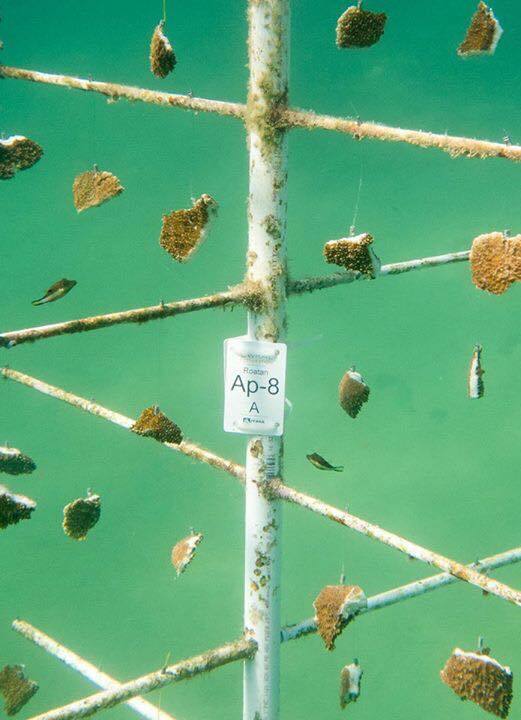 The two species of Acropora coral selected for Roatan’s new coral nurseries were once the most abundant and important species on Caribbean coral reefs in terms of building reef structure and three-dimensional habitat for marine life. 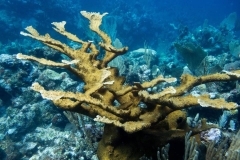 Both Elkhorn and Staghorn corals underwent serious declines in abundance in the 1970s and 1980s and were listed as threatened under the US Endangered Species Act in 2006. 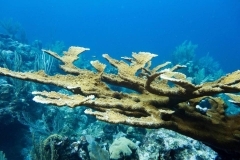 The US National Oceanic and Atmospheric Administration has estimated that the Caribbean has lost more than 97 percent of these vital corals due to White Band disease, elevated seawater temperatures, pollution, and other stressors. 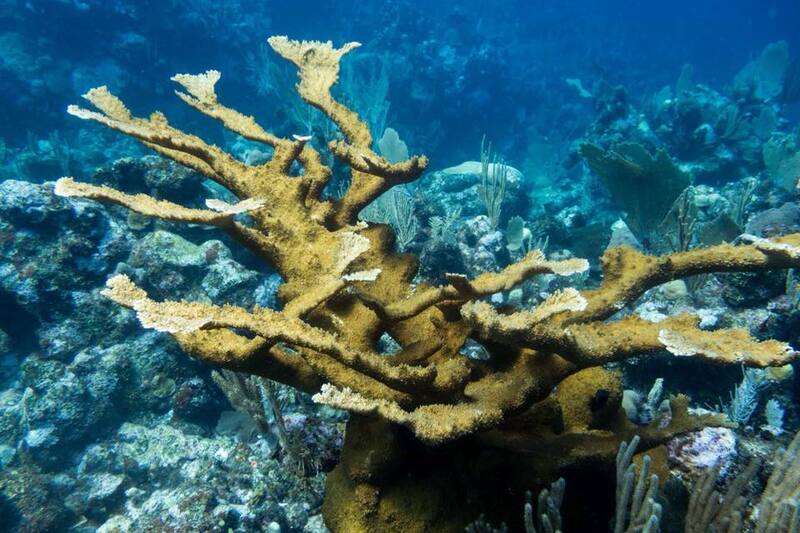 While Elkhorn and Staghorn have declined dramatically, there are still healthy colonies on Roatan’s reefs. 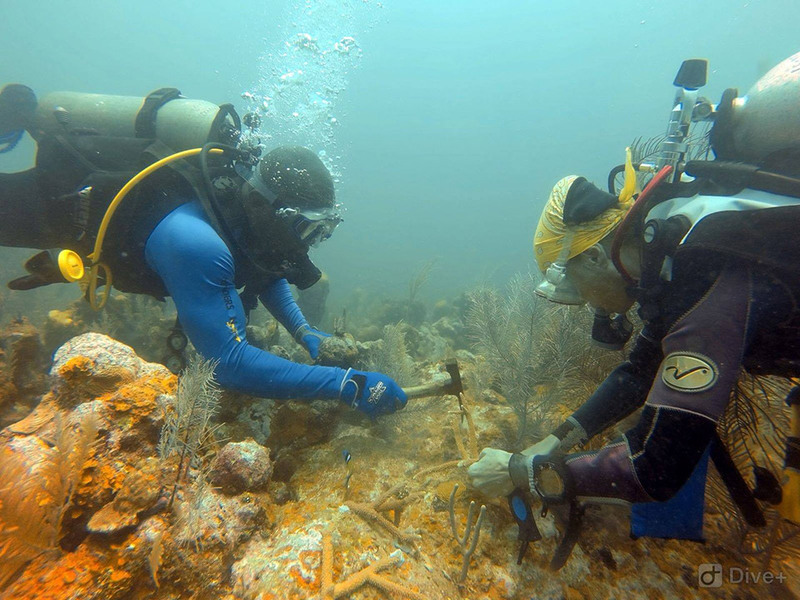 Bay Islands Reef Restoration collects a portion of healthy colonies, fragments the collections, and grows the fragments in our nursery until they are large enough to plant back on the reef. 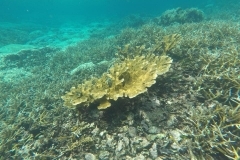 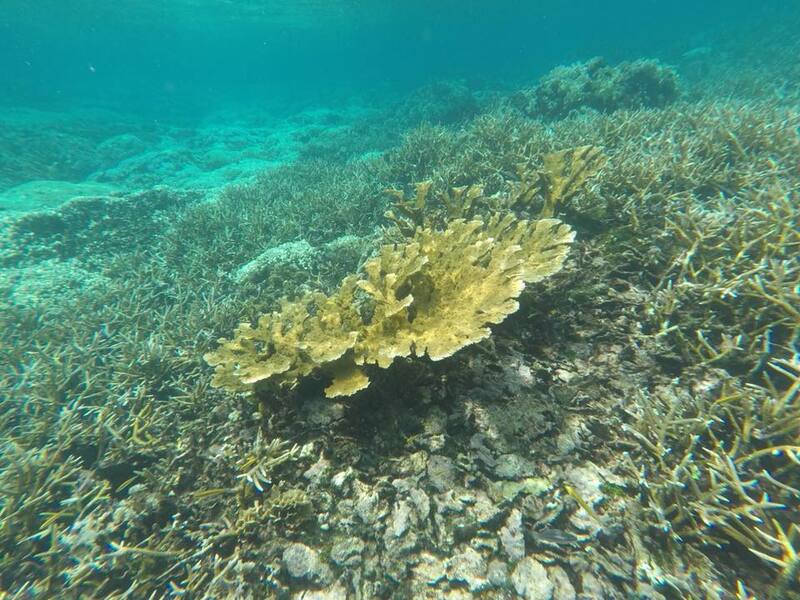 We seek to preserve the remaining genetic diversity of these threatened species and plant genetically diverse corals back on the reef to create thickets of closely grouped corals that can more readily sexually reproduce through successful spawning. 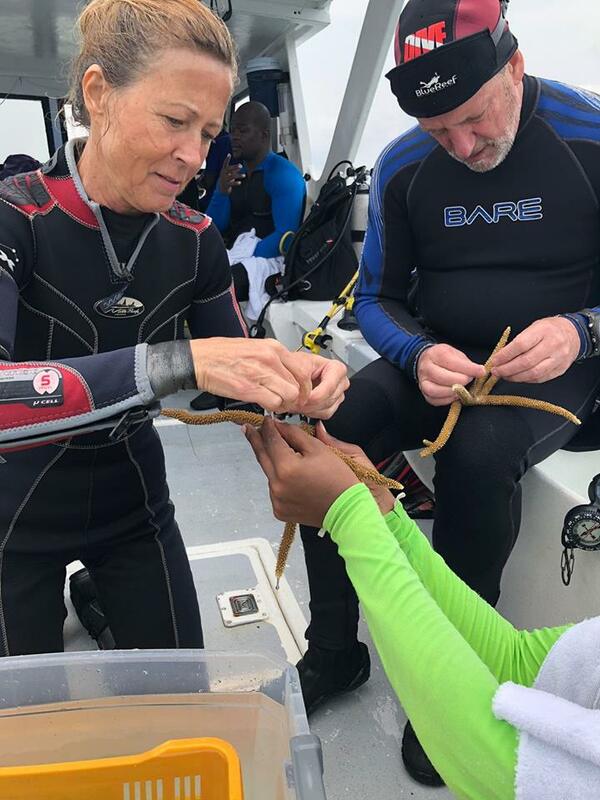 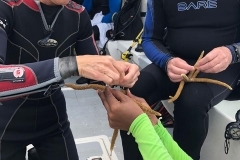 The BIRR provides Subway EcoGreen PADI Divemaster interns and Turquoise Bay Resort guests with the opportunity to learn about important coral conservation initiatives and take part in coral nursery maintenance and coral outplanting. We hope you will visit Turquoise Bay and Subway Watersports and dive with us as we seek to restore Roatan’s reefs.